Labrador retrievers and German shepherds are among the most popular dog breeds in Canada. That’s according to the Canadian Kennel Club (CKC), which has released its list of Top 10 Most Popular CKC Dog Breeds of 2018. 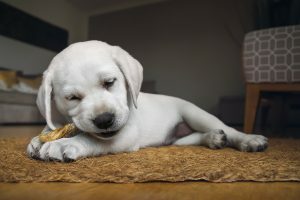 Though the top two winners have been at the forefront for a while, golden retrievers landed in third place, with poodles in fourth, and French bulldogs in fifth. According to CKC, French bulldogs have become increasingly popular due to their small stature and minimal grooming needs. The list also welcomed a newcomer this year, with the Portuguese water dog claiming the number 10 spot. Portuguese water dogs are known for their stamina, intelligence, affection, and loyalty. CKC is the primary registry body for purebred dogs in Canada and currently recognizes 175 breeds.